As a kindergartener, Annabelle Vestal asked the Mayor of Fairhope if a sidewalk could be built to connect her neighborhood to the city’s sidewalk system. “I wanted to walk to the pier and to my Opa’s house,” Vestal recalls. When the Mayor explained the process of city planning and budgeting, the response did not deter the 5-year-old—it gave her a plan of action. Upon learning that her neighborhood falls under the county’s jurisdiction, Vestal met with the Baldwin County Commissioners to request a cost analysis for the .2-mile sidewalk that would connect Meadowbrook neighborhood to the sidewalk at the intersection of Gayfer Road Extension and Bishop Road. When she was told that it would cost $75,000 and that funding was not available, she began documenting traffic patterns and initiated a petition, garnering 65 signatures in support of the sidewalk. Armed with research and citizen support, Vestal asked Fairhope to partner with the county to fund the project. The Mayor then suggested that she present her proposal to the Eastern Shore Metropolitan Planning Organization’s Policy Board. Moved by the student’s confidence and passion, the board unanimously agreed to earmark funds in the 2016 budget. In 2017, after 5 years of hard work—which included the baking of lots of cookies for local officials—Vestal finally got her sidewalk. She was also the first recipient of the Baldwin County Trailblazer’s Giraffe Award—an award for individuals who stick their neck out to make a difference in their community. Imagine yourself on the cover of the Natural Awakenings Yoga Month issue! Submit your photos by August 6th for the chance to be featured on our September cover or in our special Yoga Month section. Both vertical and horizontal photos are acceptable but only vertical images will be considered for the cover. Photos should be 300dpi and at least 8x11 for the cover. Photos for interior pages should be at least 4 inches wide. All photos should be sharp and in focus. Photos can be of individuals or groups. The background of the photo should not be too busy and you should leave copy space—this is empty space (like a blue sky or white wall) in the photo where we can place words. It’s better to give us lots of extra background area that can be cropped to our needs, than too little. All submissions are subject to cropping and minor editing by Natural Awakenings. Unless you have professional editing experience, please do not do very much editing before submitting your photos. It often reduces the quality of the image. Submissions are due by 8am Monday, August 6, 2018. Limit 3 submissions per person. There is no cost to submit your photos. If you are interested in advertising your yoga business, contact us to request options and rates. Roots To Home owner, Lilah Brown, was raised on a 40-acre farm in Lucedale, Mississippi, where they have always used natural methods to grow a variety of produce. While heirloom tomatoes have been one of their specialties—and they continue to grow them for local restaurants—elderberry is their newest focus. When Brown discovered elderberry’s ability to boost immunity in the body, reduce inflammation and decrease cholesterol, she began producing organic elderberry extract. The American variety of the plant has grown on their property for years, but they primarily grow and use the black European elderberry (Sambucus nigra) because of its higher potency. Roots To Home now offers a total line of locally produced elderberry products, including extract, syrup, hand sanitizer and bath products, plus several topical arnica products for pain relief and a soothing massage oil. Their produce and wellness products can be purchased directly from them at local farmers’ markets and from a list of retailers in coastal Alabama and Mississippi. For more information, call 601-791-0943 or 601-947-7692 or email Discvree7@gmail.com. Shipshape Urban Farms is a new agritech company creating a zero-waste, localized food network by building hydroponic farms in upcycled shipping containers. Based in Mobile, Alabama and developed by Gulf Coast natives Dale and Angela Speetjens, Shipshape uses efficient farming practices to revolutionize health, the environment and dinner. Hydroponic systems grow plants without soil in a controlled environment to eliminate the need for herbicides and pesticides. Requiring 90 percent less water and substantially less energy than traditional farming practices, Shipshape’s environmentally friendly process provides healthy, sustainable food that is harvested at the peak of ripeness. From seed to harvest, LED lighting and drip irrigation systems are used to provide the optimal growing conditions for the produce. These innovative features, combined with vertical growth, allow Shipshape Urban Farms to produce the equivalent output of a 30-acre farm in less than a ¼ of an acre, for a fraction of the cost. The crops are also certified Homegrown By Heroes (FarmVetCo.org/homegrown-by-heroes). Shipshape’s lettuce, leafy greens and herbs are available year round via a community supported agriculture program (CSA) which delivers weekly produce baskets to locations in Mobile, Fairhope, Gulf Shores, Foley, Pensacola and Biloxi. For more information, visit ShipShapeUrbanFarms.com. For 35 years, The Health Hut has been a local resource for high quality, natural products and superior customer service. Since opening their doors, the goal of the staff has remained the same: to help local residents live healthier lives. Jill Fletcher, who has worked at the West Mobile location for nearly 21 years, is proud to be a part of The Health Hut team. “I watch my co-workers day in and day out and see that they are not only knowledgeable in their different fields, they genuinely want to help people. Their kindness and integrity is undeniable,” she says. Initially the store operated out of a small house on the corner of Old Government Street and Schillinger Road, when that part of Mobile was still relatively undeveloped. It has since grown to three locations (including a Daphne store), and 35 years later, many of the original customers are still loyal patrons at The Health Hut. As the local business has grown, so has the natural care industry. As a result, staff members observe that the customer is now much more informed and open-minded about trying natural products. 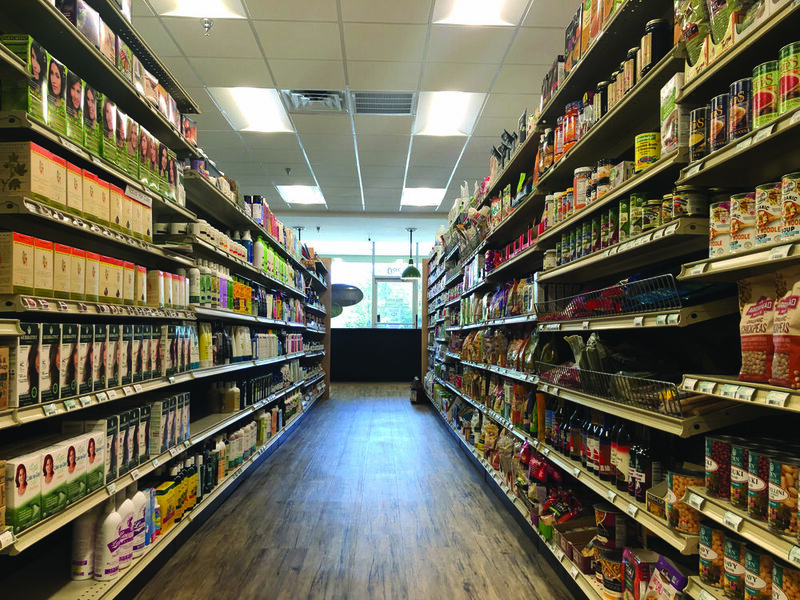 “More people are starting to view supplements and herbs as an effective way to maintain health,” notes Jeff Freeman, co-manager and grandson of the original owner, Betty Freeman. To keep up with market demand, The Health Hut continues to expand their inventory and offer customer incentives such as a rewards program and various discounts. They also have their own line of organically grown herbs and essential oils called Hale Ola. Co-Manager Brock Cole emphasizes that superior customer service has always been the primary focus, saying, “Products have come and gone, but the same great customer service remains.” Education is also a priority. All staff members are required to complete ongoing product trainings so they can educate their customers. Looking forward, The Health Hut will continue to focus on the health needs of their customers. The customers and their needs are why the staff members—from the owner to the newest employee—go to work every day. For more information, visit HealthHutAL.com. The organic blueberries at Weeks Bay Plantation, in Fairhope, are ready to be picked. The public is invited to start picking from 7 a.m. to noon every Wednesday, Thursday, Friday and Saturday until mid-June. Weeks Bay Plantation will kick off 10 weeks of Saturday Harvest Nights in May. These family-friendly events feature blueberry picking (cost is $8 per pound), market vendors, food trucks and live music under the stars. Cost is $5 per adult if you don’t wish to pick berries and children 12 and under are free. Coolers are welcome. Weeks Bay Plantation is an organic farm and venue that offers berry picking, live music, farm tours, field trips, farm-to-table experiences and other organic adventures. Location: 12562 Mary Ann Beach Rd., Fairhope, AL. For more information, call 251-279-8746 or visit WeeksBayPlantation.com. Nature Connect is launching a family program this month in D’Iberville, Mississippi and is enrolling kids for summer camps, preschool and homeschool programs in Daphne and Montrose, Alabama. Serving ages newborn to 12, Nature Connect cultivates a sense of wonder, a love for learning and an appreciation of the natural world. Kids unplug from technology and explore the outdoors to reconnect with each other and the world around them. With lots of educational fun and play, students learn about animal tracking, bird calls, plant and animal identification, and primitive skills and crafts. “I spent my childhood outside and I want to help foster the next generation of scientists and environmental stewards,” says founder Brinkley Hutchings. Studies show that time spent in nature increases attention span, ability to concentrate, self-esteem, creativity, critical thinking and problem-solving skills. Children who spend more time outdoors and who participate in cooperative group activities also tend to have healthier relationships with friends and family. For more information, call 251-747-7846 or visit NatureConnectAlabama.org. Reflex-OIL-ogy™️, a new hands-on educational program, is launching with a Raindrop Retreat on April 28 to 29 in Waveland, Mississippi. The weekend will be restful yet invigorating for professionals as well as parents, oilers, caregivers and those interested in self-help health. During two full days of Reflex-OIL-ogy classes, participants will enhance their knowledge of essential oils and be empowered to share more with others. Topics include the effects of the skeletal and nervous systems on the back, joint and nerve issues; identifying and working the reflex areas in the feet; applying and receiving Raindrop Reflex-OIL-ogy; and the Emotional Congestion Release Technique to help oneself, family members and friends. The Gathering Place offers a beautiful and inviting meeting place, and accommodations for $35 a night. Mississippi massage therapists can earn continuing education credits by attending one or both days. For details and to register, visit Reflex-OIL-ogy.com. All events are free unless noted otherwise. Coastal Alabama Farmers and Fishermens Market will celebrate with Earth Day displays and activities during the market. Master Gardeners will be on site and a yart sale (yard and art sale) and chili cook-off are also planned. For more information, contact Alescia Forland at 251-709-4469. This is Alabama’s largest Earth Day celebration, honoring the Earth and the beautiful Mobile Bay. The 47th annual event hosts more than 100 environmental displays. Highlights include a children’s parade, educational activities, environmental film festival, electronics recycling and live entertainment throughout the day. Free BRATS shuttle service is provided from Big Lots parking lot on North Greeno Road, plus free valet bike parking is available at the event. For more information, call 702-496-5050 or visit EarthDayMobileBay.org. See ad, page 4. This annual event features a farmers’ market, free eco-tours, vendors and children’s activities that promote learning about the environment. Local vendors will teach about efficient, money-saving and earth-friendly practices. For more information, visit JaxCoHome.com. This annual celebration and educational forum promotes green lifestyles with a fun, family-friendly atmosphere. The theme is Energy, Transportation and Sustainability and vendors will represent ride sharing, public transportation, hybrid vehicles, alternative energy sources and gardening. Enjoy live music, dancing, yoga and a children’s area. For more information, call 850-293-3578 or visit EarthDayPensacola.org. The Earth Day opening reception for this juried exhibition will feature nature-themed work from local artists and a book signing by local author Lee Ann Ward. Complimentary hors d’oeuvres and refreshments will be provided and a portion of art sales will benefit Mobile Baykeeper. For more information, call 251-206-5587 or visit MarneesStudio.com. Ocean Camp is celebrating nature and the ocean—which covers 70 percent of the planet and provides most of our oxygen—this Earth Day. The afternoon event will feature animal encounters, animal face painting, scavenger hunt prizes and marina walks. For more information, call 251-802-8605 or visit OceanCamp.camp. Can the key to wellness be in the water you’re drinking? Missy Guitterrez believes that the most important step to healthy living is maintaining a slightly alkaline blood chemistry. As the founder and co-owner of Peak Alkalinity LLC, she suggests that the easiest way to do this is to drink alkaline water. “Sure, you’d probably be alkaline if you ate a raw food diet, lived a stress-free life and avoided coming in contact with toxins, but that’s hard to do,” she notes. “Drinking alkaline water is the simplest and quickest solution, plus it’s all natural.” When pH levels in the bloodstream are at an optimum level (7.2 to 7.4), the body thrives, resulting in a boost in the detoxification process, improved immunity, easier weight management and slowed aging. Guitterrez practiced pharmacy for six years in Louisiana before spending 20 years in the financial services industry. She is a former collegiate athlete and holder of 10 AAU medals in Shotokan karate, but she has also suffered from several chronic health issues. After spending copious amounts of time with various physicians, a doctor with a biochemistry background offered Guitterrez some solutions. “She taught me that everything happens at the cellular level, which helped me look at things from a different perspective,” she recalls. Following an intensive round of diagnostics, the doctor incorporated western and eastern medical approaches which, for the first time, led to drastic improvements in Guitterrez’s health. “It motivated me to change my lifestyle—especially my diet, since most everything starts in the gut—and I started drinking alkaline water to change my blood chemistry,” Guitterrez says. She began researching alkaline water businesses as a desire to give back to the community grew. The multi-level marketing and online sales approach of other alkaline water companies did not appeal to her because she wanted a larger educational component. “I felt called to help others detoxify and I had a vision for a showroom that could be used to educate the community,” Guitterrez explains. Through a series of serendipitous events, things fell into place and her dream became a reality with the opening of Peak Alkalinity last fall, in downtown Fairhope. Guitterrez chose to relocate her family from Louisiana to open the store in Fairhope not only because of its small-town charm and proximity to her previous home, but also because of the clusters of rare cancers being documented along the Gulf Coast. Approximately a quarter of the people that come into Peak Alkalinity are oncology patients. Because cancer cells thrive in an acidic environment, it is believed that a higher pH level in the body can slow or stop cancer growth. Striving to continue the generous legacy of Guitterrez’s mom, Peak Alkalinity gives free alkaline water to any oncology patient that comes in and is working on installing alkaline water ionizers in area cancer centers. The business also donates 10 percent of all proceeds to a different charity each month. Customers come in seeking relief from a long list of chronic issues including acid reflux, gout, arthritis and diabetes. “Plus we see a ton of healthy people that want more energy, and athletes that want to increase their speed and recovery time,” she says. In addition to filling bottles with alkaline water, Peak Alkalinity offers three types of alkaline water ionizers at competitive prices so consumers can transform their own tap water into health-boosting alkaline water. The store also sells BPA/BPS-free water bottles and houses HydroZen, which offers a full menu of massage services, infrared sauna sessions (which include a collagen shower) and detoxifying foot spas. Peak Alkalinity believes that drinking alkaline water is a form of preventative healthcare. With customers calling to place orders from across the country and talks of a Mobile location opening later this year, it is evident that this locally-owned store is inspiring lifestyle changes for countless individuals. Location: 217-B Fairhope Ave., Fairhope, AL. For more information, call 251-270-7200 or visit PeakAlkalinity.com.